I want to address a question I get asked pretty often. This is a topic I cover in my book The Universe Has Your Back and one that’s on my mind now as I write my next book, Super Attractor. People tell me, “I got my sign but I’m not sure what it means,” or “I’m not getting my sign and I don’t believe I’m being guided.” There’s a lot of stress around asking for and receiving signs from the Universe, and how to trust in the signs you receive. I want to address this topic head-on, because when you can relax into faith and know a divine sign when you see one, you will receive beautiful guidance and your path will unfold naturally before you! I want this for everyone. So watch the video below and then keep reading to learn how to trust in the signs you receive from the Universe. But first, here’s a quick refresher on how to ask for a sign, from The Universe Has Your Back. Asking for a sign means that you’re willing to collaborate with the Universe. It means that you’re committed to releasing structure and control to instead be led by a power greater than you. If you don’t get your sign, that’s a sign too! Asking for clear guidance is an exercise in receiving good, orderly direction that is unrelated to what you think is right. Remember and trust that the Universe has a better plan than you do! You can ask for a sign to guide you toward anything you desire. If you’re unsure about a decision or you simply want to know you’re on the right track, ask for a sign. And don’t get hung up about what your sign should be. Just choose the first thing that comes to your mind. Maybe you think of an animal or a song or a book title. (In The Universe Has Your Back I tell a story about how I chose my sign, which is an owl!) Just let whatever comes to your mind become your sign. Let it come to you naturally and commit to what you hear. Often people receive signs as numbers in sequence like 1111 or 444. Or maybe your sign is a song, a fragrance or a name. The guidance truly is limitless! You might be a little psyched out when you first start receiving signs and noticing lots of synchronicities. It might seem a little too good to be true. But it’s not. That is simply the miraculous way of life that is available to you when you surrender to the Universe and have faith in the guidance you receive. The key words here are SURRENDER and FAITH. Many people will ask for a sign but they don’t surrender to the Universe. Or they don’t trust that the guidance they receive is better than what their ego wants. They try to manipulate situations so their sign will show up, or they specifically pick a sign they know they’ll see. As I say in the book: Try not to control your sign. Your sign will be crystal clear if you’re going in the right direction. And always remember that if it’s not clear, then that too is divine guidance. The medium Colette Baron-Reid says that your sign needs to be like a billboard, so clear that you cannot deny it. So what happens when you see your sign, but you don’t feel connected to it? Or when you realize that you’re trying to play tricks with the Universe? The answer is simple: Tune back in. Turn to your prayer practice and your meditations to get centered again. Often when we find ourselves impatient it is really because we do not trust in the outcome. If you’re impatient, maybe it’s because you’re afraid that something won’t happen the exact way you want it or exactly when you want it to happen. Remember that this need to control the outcome stems from your lack of faith in the Universe. There’s also the belief that if something doesn’t happen in the timeframe that you want that something bad will happen. Worse, this places your happiness and safety in the outcome. So remember: Anytime you want to ask for a sign, tune in to your energy first. If your energy is ego-driven, the responses will be muddy. If the energy is aligned with love, you will always get clear direction. Be very conscious of the energy you’re putting forth when you ask for guidance and make sure that it’s clear, connected and aligned. Thank you for this post, your timing is great. I have read your book and think it is great. What I want to know is do you need to meditate in order to receive your signs? And how is no sign a sign? And finally I have chosen a sign that has worked for me, but I do see a lot of 11.11s is this another sign I haven’t chosen? Should I see this as meaning something? 11:11 is a sign that the angels are guiding you. take a moment when you see it to reflect on what you want and clear away any negative thoughts. Thank you for clarifying this, I received 1:11 or 11:11 just about every day! Thank you Gabby. I appreciate your help and your great advice; since reading your book I am beginning to look at things differently and I appreciate you reaching out by responding to my questions. yes and yes… continue to read and re-read the universe has your back to strengthen your faith in the universe. it get’s stronger the more you lean towards love. when you surrender you will see the sign loud and clear. a billboard literally!!! nice one. What happens if you are struggling to move in the sign’s direction. I was travelling and landed in Sydney and before going through border control I went to the bathroom. On the cubicle door at the bottom was a small sticker with “Live Vegan” and my sign , the butterfly, above it. I am really struggling to put this into practice. What do you think it means and what happens if you cannot move in the direction of a sign? your job is to just stay consistent on your spiritual path and remain in alignment with the universe. do the best you can and don’t judge your process. Hi, I’m new to this, so I have a question – should I be asking for a “specific item” as a sign, or just asking for “a sign”? I recently asked for an animal (ie anything not mineral or vegetable!) to appear as a sign that I am on the right track, and then within 20 minutes (!!) I came across people observing an *incredibly* rare (for that location in the wild in the UK) snowy owl. So I took that to be “my sign” from the universe, and that it signified clarity and changes coming in my life. But should I have been asking differently, eg “if I’m on the right track then show me X …” ? Thank you. I have been given two signs one for my work and business and one for finding a romantic relationship. I rarely see either of them! Am I completely out of alignment? I think you are an amazing lady and an example to us all. I have nearly finished your Universe has your back. I have done the exercises and use your prayers. It has really helped me. doesn’t matter where you get it. i hope it serves you! 2 months ago i attended a new ladies connect group event and i got drown to the woman who was speaking about her business on that day;dhe happened to be a hypno therapist specialising in infertility resolutions; i have now had several sessions with her and it has unlocked so many unconscious truth + she also makes me practise tapping when my emotions are too rough.Yesbi have not miracuoous got pregnant since but i am convinced she was the sign I had been waiting for the past 5 years. ..
you are clearly being guided. also read the book spirit babies. read the chapter in the universe has your back called “obstacles are detours in the right direction” answers are there! I have been dating for a couple years now, trying to find a partner. I practice kundalini, EFT, and am definitely much more confident in myself and my wants, and much more at peace. I read your book about 6 months ago.. and with all the sincerity asked for a sign to know when I had found something special. Like you chose owls, I chose eagles. As I arrived at my latest boyfriends home I walked into his bathroom and saw a mirror painted with eagles. I saw myself and the eagles and rejoiced. I spoke with him about what I wanted, someone to communicate their feelings and a supportive partnership that went both ways. He promised me he would communicate. As someone who does a lot of self work, I notice that men have leaned on me as a therapist more than a partner and that it is not my responsibility to wrangle the uncertain emotions of someone else. I would like support, not just giving it. Anyway, this partner a few weeks later invited me over to his home, rejected me in his bed and only after I asked him if everything was ok.. twice… began to dump me. This is not what I had in mind in terms of communicating. I gathered my things and left. I’m confused. Surrender more I think, but does that mean stop dating? Does that mean opening myself up to more hurt? I know the hurt will let in more light.. but I am confused by the signs. Discernment is so hard. Thank you for your work and the community of awareness you are fostering. there’s a chapter in the universe has your back about universal assignments. in that chapter that I reference a romantic relationship. Check it out and. I know it will give you the answers you’re looking for. In that chapter the partner is good for him, in my case the partner was not. The partner was triggering my fears of rejection and my need to work on my sense of worthiness. Why would I get a sign that this was where I should be? This lesson is one I am aware of already.. it was why I talked to him about my needs, but he still rejected me. Excellent question…. I wonder about this too. I sometimes think we are put in these situations because we aren’t totally clear of the issue yet, and it’s a test for us to trust. This is what I am struggling with right now. Hmmmm….that is disconcerting. I get your point. Hi Erika, I have experienced the same for a long time and very recently … again. I feel I’ve healed and have had plenty of time, yet it keeps happening. I want to believe the Universe will take care of things but geez I’m getting very emotionally exhausted, losing faith and my trust that I build each time reduces to zero after every “assignment”. I’ve been on a journey for 15 years on and off to find my soulmate, manifested, looked for signs, connected, yet it seems like it must all be in my head because it never turns out. Finding my soulmate has still not happened and I don’t want to keep going through this torture and pain of putting 110% into something I thought was real, but turns out it was one sided. It can take you to a very lonely place. Sorry to be so negative but it’s got to a point where it upsets me to be on my own even though I’ve tried so hard not to. Thank you for sharing your story. It really resonated with me. Thank you for this reminder, Gabby. It’s time to re-read The Universe Has Your Back..
Best wishes to you and thank you for sharing your knowledge and light with us, always. I am feeling just like that! I started reading The Universe Has Your Back for the 2nd time…my symbol is the butterfly and I see one whenever I need comfort and it makes me smile. The biggest sign are the Angel Numbers everywhere, everyday, multiple times-I’m caught between surrendering and seeking the correct path. My big crossroad at the moment is whether I’m about to make a career change and I’m ready, just no idea why my next journey will be! it’s all about surrender. When you surrender clarity will come to you. Thank you so much for this! Is it possible that we can have different signs for different things? Does it always have to be the same sign? you can absolutely have different signs. just be clear with the universe about what you’re asking for! This is spot on! This has been my exact experience. Thank you! is see 11:11. All the other signs I was seeing have seen disappeared. Last year I let go of the grieving process of my husband. I know he is in a better place. The only sign that I see continually seeing is 11:11. I see that all the time. Or variations of it like 111. A very very dear close friend and I share this same sign 11:11 with her. We both are seeing it at the same time. She is the one that introduced me to you. I have your books and cards. Your story is so amazing. Thank you. Even if I don’t get the outcome I want, I know that I’ll get the outcome that I need. Time to surrender and have faith! Thank you so much for the guidance, your books have helped me so much. Thank You ,,,,I was waiting for this message and I got it ,,,Thank You Thank You Thank You,. When you say “it was so in my face I was kind of in shock” – that is how you know you’ve received a crystal-clear sign. You are supported. How do you know if you’re in alignment when you’re asking for a particular sign? So I took your advice and waited until I was in alignment with my issue before I asked for a sign…which was a cardinal. It took about a week, and then while at my parents on Saturday, I saw a cardinal fly to the birdfeeder right outside the window. Does it matter how long the sign takes to appear? This was so timely for me today since I’ve been struggling with feeling guidance. Just wanted to thank you for the message and the work you do. You’ve been very impactful in my life! Thank you for this message Gabby. I have not picked a sign from the universe for myself but have seen (and collected) white feathers and number combinations. I stopped for a bit because I found myself sitting there waiting for the clock to change time like it was a sign from the universe… 11:11 happens twice a day I’ve discovered! 🙂 I’m going to read the Universe Has Your Back to understand it better. I’ll be attending your workshop in Toronto in May and I’m SO excited about it. I can’t believe that this is happening. Actually… this might be a sign from the universe – I had been telling friends that my dream list included seeing you and Dr. Joe Dispenza live. Imagine how far my jaw dropped when I got an e-mail saying that you would both be in Toronto on the same weekend. This is a dream come true. Looking forward to it very much. Hi Gaby! I haven’t recently asked for a specific sign (symbol) but I do get some clear messages. Recently I’ve been exploring more and more that the Universe does have my back. This is difficult for me as I need to learn to let go of wanting to control everything, that the Universe does know better. Last week I left a post it for myself to remind me of something. I had drawn a simple heart knowing with that I would remember. Later that day, I realized going home that the post it was stuck to my sweater. I have no real idea how but this was a certain sign of the love and support I am getting. Thank you for helping through your book see these wonderful manifestations. This post came at a very coincidental time for me. This past weekend it was my birthday. I have trouble with setting expectations and letting go of these expectations. Often times when I feel like I have let go, I find myself disappointed with some outcomes. For my birthday I made myself have no plans, this way I would not create expectations for how the day would go. I began the morning by talking to the Universe while I drove to my house and surrendered. I told the Universe I was willing to see love today and to let today be whatever it was suppose to be. It ended up being the best birthday I have had in awhile. The best part was my boyfriend surprising me and taking me to a sensory deprivation tank, where I floated for 2 hours and conquered one of my looming fears of darkness. It was scary at first, but as time went on I learned to let go. Yesterday after feeling frustrated, I surrendered to the Universe and asked it for guidance. I did not know if I am on the right path of my life or doing the right thing. During my family’s Easter dinner, they gave me gifts for my birthday. One of my uncles gave me a card. After pulling it out of the envelope on the front was a big, blue butterfly- my sign. I felt a wave of emotions overcome me and thanked the Universe for providing me with this. It was an undeniable moment, something that I did not have to search for or force, like The Universe has Your Back says. But I am feeling confused and second guess if this was actually a sign. I feel like I have several signs from the Universe too. Like when I am thinking of my dad, our song will play on the radio when I get in the car. Or I will be thinking of a person or a song, then it appears shortly after or later that day. I don’t know if these are signs or not. Can you help clarify? Also, after having this experience yesterday, I checked my email to see the headline of this blog post. I want to believe that these are signs, but I don’t know for sure. happy birthday. all you need to do is trust the signs you’re receiving. you are on the right track for sure! Wow! How timely for this post (I love how the Universe works). I’ve been struggling to get pregnant for nearly a year and a couple of months ago, I was at a low, incredibly sad place when once again, I wasn’t pregnant. I immediately went to your book The Universe Has Your Back and re-listened to it. 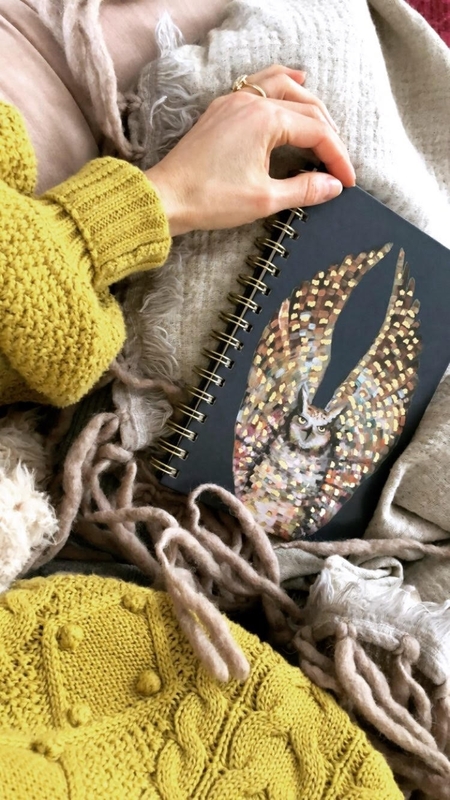 When you talked about signs, I felt I needed a sign to tell me that everything is going to be OK. After listening to your story about choosing an owl as your sign, I thought, “What is mine going to be?”. I LOVE owls and see them all the time so knew that wouldn’t be the right sign for me. As another commenter mentioned above, I too heard “eagle” When I thought of eagle, I thought “Really? Is that too close to an owl? I don’t ever see eagles. I’m not sure how I’m going to see that sign.” Well nothing else came to me so I went with it and I’ve seen it three times now, the third being yesterday at Easter church service. One of the singers in the band had this super cool t-shirt on and I kept wondering what was on her shirt. Close to the end of the service, I was finally able to make out what was on her shirt and saw that she had an eagle with its wings spread across her chest. I immediately teared up and knew it was a sign. When I have seen these eagle sightings I am immediately taken over with emotion and comfort. I take these as signs that yes, everything is going to be OK and that I am exactly where I am suppose to be. It’s a sign to trust in that. I don’t know what the outcome is going to be, but I do believe everything is happening just as it should. This post helped me have faith that my sign is truly a sign. Thank you Gabby! You rock sister! Much love to you! You are EXACTLY where you’re supposed to be and you are supported greatly. Thank you for sharing this miracle moment. The Universe Has Your Back introduced me to seeking signs from the universe, and I LOVE LOVE LOVE this tool. I have had great experiences with asking for signs in the past. However, I recently found that when I ask for signs, I get conflicting messages. For instance, I assigned two different signs for two different outcomes in a this-or-that situation. Instead of getting one clear sign, I would get both! It’s confusing, and I’m not really sure what to make of it. Any suggestions? Hi Gabby, thank you so much for this post and your work in the world. I’ve been on this spiritual path for a while and felt guided toward going back to school which I am currently doing and yet when I ask for a clear sign of alignment I do not receive it and since I’ve been back in school my connection to myself and the universe has felt less present, this has got me wondering if I am not on the right path. Trying to trust the process but wondering if you have any specific advice for me? Thank you! I’m almost without words. Tears welled in my eyes as I read this passage. Letting go of control (having true faith) when sh*t has already hit the fan is the toughest part. It can be so tough. I truly understand. But there is a flip side… leaning on your faith when times are very difficult gives you strength and the certainty that you are supported. Love and light to you, my friend. I really needed to see this today, so thank you, Gabby! I see a lot of 1111 and 444 and the sign I usually ask for is a rainbow. I’ve been struggling with a specific situation and being patient about the outcome. I need to get realigned with my true power and give it over to the universe! I will try to keep this short, as I have thought about writing many times. I am living with a family member who is a very negative person. He has nothing good to say about anyone or anything. I am stuck in this situation, as I am living on a very small income. I moved here believing this would be good for me as I had lost my job and my home of 32 years. That said I have read your book “The Universe Has Your Back” several times, I use it everyday for inspiration. I thank you for this insight. When asked about a finding a sign it came very easily to me. I had been in a store and was buying a lighter, the one I chose had a dragonfly on it. I had never been drawn to this sign, but for some reason that day I was. Later I was reading the chapter about signs, and there again your mention of your friends sign of a dragonfly. Coincidence? I think not. I find myself in depressions and I go to your book. I ask for my signs and find it almost everyday. 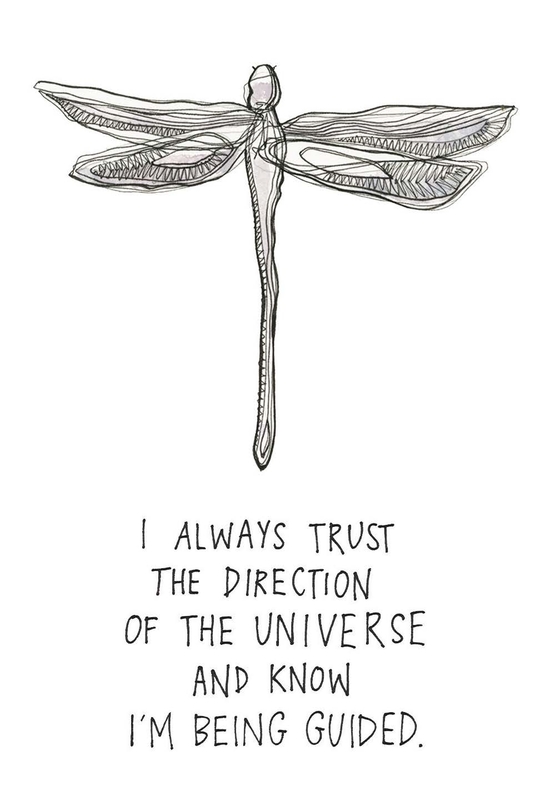 Today I read this and as I was scrolling I saw the dragonfly. I see this and I have hope for my future. I have hope that yes The Universe does have my back and one day I will see my dreams fulfilled. until then I thank you for the support, your visions, guidance and your books. It has helped me immensely living with this negativity. I just wanted some advice on how to use the sign in finding love ? How does this help ? I have asked for signs regarding a same topic and from my father who passed away almost 5 years ago, and guess what? He answers to me every time I ask… however, sometimes I feel I have no one to talk about it and tend to lose some of that momentum… I think I don’t know exactly how to take action after receiving those signs… any ideas how I can make the most out of them? Thanks! It could not have been more clear. Thank you Gabby for opening my eyes to seeing the universe. I asked for a sign that my son would be okay. I also said that I release the control and ask for the highest power to guide him. I ended up seeing heart shaped rocks on 3 different days. I didn’t ask for this sign, but what wow’d me was that I have asked for this sign in the past & this is what I saw. I have also been seeing 11:11 or 12:11 a lot. I have read your book twice already, I love it. Thank you so much!!!! Two good stories about signs.the first time I asked for a sign what I chose didn’t resonate with me. A few hours later a woodpecker has attacking my neighbors house & it hit me. The woodpecker is my sign. These birds don’t come around often & do not seem to show up in pop culture very much either. Sloths are popular now I should have chose that -haha. Today I received my second invitation to join the miracle membership. I’ve felt drawn to join but worried about money. Cash is always tight. I asked for a sign if I should join. This is what happened- hours later I was taking a walk while Listening to the universe has your back on headphones. Suddenly I could hear a woodpecker. I took my headphones off & it stopped. I put them back on & the woodpecker started again. I couldn’t see the woodpecker anywhere just heard it. 3 minutes later there was the pileated woodpecker flying out of the trees next to me. Guess I’m joining the miracle membership today! My other story- I’ve used the woodpecker as a sign once when asking for clairity in my romantic relationship mostly before what I perceive as a hard conversation (hard for me to express my needs) it has come. Recently I was lying next to me lover in the early morning feeling so blessed & happy. After 17 years in a unfulfilling marriage I have a hard time accepting that I can be myself And be be happy with a man. All of a sudden a woodpecker is pecking at his cabin. It worked it’s way around the house until it was pecking behind my head! Loved by it. Two more woodpeckers showed up that day. I feel so lucky & grateful. The universe does have your back. I so needed this today. I am struggling to get pregnant with my third after ease with my first two. I’ve been obsessing and controlling everything and it’s been so difficult. How do I let go when I want another baby so bad but don’t know if it will happen? Kim, watch my SuperSoul Sessions talk on spiritual surrender. I think it will resonate with you very deeply. Forgiveness is the way. Thank you for spreading this message and being the light!!! Thank you! This was truly amazing! I asked the Universe to show me a sign about a week ago by way of a dragonfly. When I saw this post come to my Inbox today, I knew I had to read it. Lo and behold as I continued through the content, there it was! A dragonfly. Oh my gosh! I was just reading your blog thinking about my sign symbol from the universe (a dragonfly) and as I scrolled down, there it was! It is amazing how many times the universe communicates now that I am learning to look for the signs. Thank you, Gabby! Your books, “The Universe Has Your Back” and “May Cause Miracles” are a great source of guidance and reassurance that I am finally on the journey I was meant to undertake in this life. After i read your book ” the Universe has your back, i prayed to the Universe and asked to show me the sign i had chose. Not long after to my amazement it show off out of the blue when i was walking in the park right off the middle of a soccer field…a Orange Monarch Butterfly came out and flew right by me. Note that i was not seeing one at the time only black and white one. Anyways, i was ecstatic and shouted Thank You Universe. And i just read Jugdment Detox. Thank you for the inspirations and the good work Gabby. Thank you, Gabby. I just ordered your book…I cannot wait to read it. I see different number signs (11:11, 12:12, 1:11, 2:22, 3:33), most everyday. I also find dimes. I know 11:11 has meaning but what about all the other number signs and the dimes? Thank you for this Gabby! It’s amazing because I feel like I’ve been seeing guiding signs everywhere, and for me it makes me feel like the Universe is listening and that my manifestations are going in the right direction and are happening. I have had to learn to truly surrender, and when I do, that really does make me feel so much more aligned! Once you get a sign, though, do you need to take inspired action, or should you wait? Thank you! I love this! trust your gut intuition. whatever you think the moment you see your sign is your intuition guiding you. trust yourself. Hi Gabby! My sign is an elephant. I’ve been asking…….so far nothing. So I feel this connection to a man, we started dating but then 3 weeks after he ended it saying he might be too afraid, have a closed heart or are not attracted to me. He is still very much in my life and I am still feeling something but I am having trouble trusting in what I feel as he says he dont – or maybe are to afraid to open up. I asked for a sign – a butterfly – which comes but I don't trust believe in it….I guess I would only trust it if a saw a more clear sign from him….what am I doing wrong? my advice to you is to focus on the having more fun! Today take some time to do something that brings you joy. No matter how busy you are you can find joy. If you’re an extrovert like me, go out of your way to connect with people in person. If it’s fun for you to put your mind to work then do a crossword puzzle. It doesn’t matter what you do, all that matters is that you seek joy. What happens when you focus on something fun is that you forget about what’s not working. You give yourself a reprieve from the incessant fear-based belief systems that keep you in a negative spiral. Thank-you for all you do :). A few months back I asked the universe for a sign that I was in the right path. The sign that popped into my head was tall poppies :). For 3 weeks I saw nothing – and it was around Remembrance Day Nov 11 ( I am Canadian) and though I saw poppies – in my mind they were not tall poppies and also I felt not really ‘fair’. Then – one day – as I was walking up a street I walk all the time – something compelled me to look over my left shoulder … and look backwards – and there on the front porch of a house was a painting of 50 tall red poppies. Amazing as I had walked passed it many times in the previous month and somehow never noticed it. I felt so happy and that this was a sign from the universe telling me I was on the right path. I now feel I need some more ‘specificity ‘ around my path. And am thinking on how to put this out there. I also believe I am now channeling the beginnings of more abundance in my life. ANy words of guidance welcome. Gabby- I recently lost my mother. While she was sick I asked for signs that I was on the right decision making path. Sure enough, I received them. While in the hospital chapel, I asked for a sign in twos and threes. When I turned to my mothers favorite bible verse, there were two dollar bills with a note “found a $1 while reading this and added one to it.” My dollar made it three. Further signs came, like finding a $2 bill on her kitchen counter, blue birds in my yard and more. Now that she is gone, I asked for another different sign from the universe (and her) that things will be ok. I haven’t received it yet. I’m not sure how to get myself back into alignment or if I’m asking for too much too soon. Rest assured that your mother is with you. Let yourself settle back into alignment. Pray, meditate and do whatever allows you to feel connected to spirit and to your mother. When we are grieving we often need to give ourselves extra time and lots of care to find alignment. When you feel grounded and surrendered, ask again. Know that the Universe has your back. All my love to you during this time. With her being sick and as her only child/caregiver, now that she is gone it’s been a bit of a challenge to find my way back to my practice. But I won’t give up. Thank you Gabby, for your response and encouraging words. Just perfect, Gabby, as it so often is when I tune in and receive your wisdom! My sign is the dragonfly and there she is, right in your post. Warm, happy tears of peaceful recognition. Thank you for sharing your wisdom and leading the way for so many of us to share ours! I have several signs that show up. Feathers always make me feel connected. Ever since my miscarriage 3 years ago the presence of a monarch butterfly stops me in my tracks and I know I am connected at this point. I see alot of consecutive numbers with 22 or 222 being the ones that make me break out in a huge smile because I feel aligned. I realised at the beginning of the year that so many significant dates in my life were 22. The date my partner proposed, the date I started my business and my due date also. After I said this I thought it was too easy of a sign and I blew it off. I left for work that morning and the sky was cloudy so no stars. I thought I would have seen this star at some point during the day and I admit I had my eye out for it. I went to a gong sound healing that night. My friend has cosmic things all over her house, angels, moons, suns, crystals, but seriously no stars??? Anyway after this session I was on my way home and I was so relaxed from the experience I just had and at a red light I looked to my right and there it was….MY STAR! It was a gas station sign with a star in the middle lit up as bright as anything. I shouted “There’s my star!” Then a revelation came about, isn’t the sun a star? I was surrounded by suns/stars at my friends house that evening but I just didn’t see it. I am so certain of my path now, just not certain on how to get there. I will figure that out. I just wanted to take a moment and thank you from the bottom of my heart for guiding me into that practice! Hi Gabby! Hello from Denmark! What are your thoughts on synchronicity? Lately I am having a steady flow of random things that show up as I am thinking about a person or a subject. An example is today as I was thinking about someone I know, at that exact time, I passed a street and the name of the street was her last name. Yesterday, I randomly picked up an item at the store that is NEVER on my radar and later that evening there was a commercial on for the same obscure thing. I have been asking for guidance at a deeper level and as these thing continue to happen, I tell myself that these are God winks from the Universe that I am on track and to just keep moving forward. Since reading your post just now and watching the video, I plan to be specific and ask for a true sign! It has been some time ago that I listened to the audio version of this book and I loved it. It feels like time to give it another listen! Thanks for all you do to keep us tuned up and tuned in! synchronicity is the norm, we just block it. the more you experience synchronicity in your life the more you’re in alignment with the universe. nice work! I have seen the number 8 appear several times in my life in dates, events, etc. And have come to believe that it is a sign, but could not understand. What does the number 8 stand for? Thanks very much. trust in the signs you receive and don’t block them. the language “it’s too good to be true” is sending out the wrong message. do your best to suspend your disbelief and reconnect to faith. Re-read The Universe Has Your Back. Your book is incredible, and it has changed my life for the better. Thank you for the support you give to others, and sharing your stories with the world! Something I have learned from you is to let go of praying for a specific outcome, and instead praying for the highest good for all. It has really helped me to begin to let go of things that I obsess over, and truly hand things over to the universe. Recently, I’ve asked for signs about specific things – pursuing a specific person, for example. Once I was finally able to let it go into the universe, I saw my sign a couple of days later…and when I did see it, it was like the pieces clicked together, and I remembered that I had asked for a sign. I also saw it multiple times, in different places. Is that how it’s supposed to be? I just want to make sure that I’m not manic manifesting, or twisting things to simply see what I want to see. you know you’re not manic manifesting when you feel like you’re in the flow and allowing. just pay attention to the signs and trust the intuitive hits you get along the way. the universe is also reminding you tha you’re on track. I always believed in the universe, and I must say you are completely right. Sometimes things happen and I think omg this is crazy, I’m on the right path and I feel it. Other times I try to manipulate the situation and I feel terrible. I need to continue to believe that the universe will guide me. My friends always tell me . It’s been crazy you just feel things and they happen. I guesss when I surrender and don’t overthink it happens organizcally. I’m not sure what my sign is right now but can it be that my sign can change based on the situation? In the past, with a situation it was a song. And now I feel like it’s not really appropriate for where I am in my life? Can it change? I see a lot of 111 but I dont Think it’s my sign, I think that tells me Bepositive and think of the situation because the angels are guiding me. I’m not sure what my sign is right now. Thank you!!! the first thought that comes to your mind can be your sign. What’s the first thing that comes to you right now? there is a spiritual condition behind physical conditions. you may want to tune in and ask yourself where you may be fearful and lacking faith. make sure to care for your body with modern medicine but always pay attention to how your emotions create a stress response in your body. Hi Gabby, recently finished reading your book and loved it. After making a decision to put my dog to sleep recently (at the time I knew it was the right decision) the very next day I starting regretting it and have been carrying around guilt ever since. I constantly question my decision so asked the universe for a sign to let me know I had indeed made the correct choice. I chose a rabbit and immediately saw them everywhere! Live ones running around my dad’s backyard, photos of them on social media, on book covers etc but kept telling myself it was all a co-incidence and reverted back to telling myself I made the wrong decision. I also had feathers fall at my feet, a sign I know the angels are watching over but yet again let my ego tell me otherwise. Why aren’t I letting myself accept my signs? Why am I allowing my ego to run the show? It’s like I want to be told I did the wrong thing. I Have just this year learned about you and some of your teachings. I now own your book, “The Universe Has Your Back,” and have read quite a few chapters! I have always been an intuit, and frequently meditate and look to center my energies, so that I may better receive the universe around me in all of its forms. There have certainly been slight differences In my practice and what I have read from you, although most times, I still find the guidance, connection and love from the universe. I guess you could say I am self taught in my spiritual practice, in that I never really conform to one system of beliefs or another. Rather, I find myself building my own personal faith through using my intuition and taking ideas from many spiritual disciplines. That being said, I have a question, one that I feel I know the answer to, however it seems to be different than what you speak of on this particular article. In regards to asking and receiving signs, I find that mine are rarely the same. However, I can certainly feel when I have been given a sign, most times. As an example, the other night I was in a bit of a tough spot emotionally, physically and spiritually, and happened upon an article that mentioned being able to ask for a sign within a particular time frame as long as one kept an open mind. so, I decided to give it a shot. I meditated for awhile, and asked the universe to give me a sign that I would clearly recognize within a 24 hour period, though I never focused on what the sign was, trusting that the universe would make it very apparent. I asked for this sign in an effort to seek reassurance that the universe was guiding me on a specific situation in my life, and that the outcome that I had asked for from the universe some time prior to asking for this sign, was aligned to what the universe itself had in mind for me. After getting home from work, I paused in my car for a moment, and allowed myself to recenter and calm myself from the busy day, before going inside. I opened my eyes and there it was! It was so blatantly obvious that the universe had heard me, that it sent a surge of energy up my spine and I almost came to tears, both of joy, and of deep, deep connection to the universe in that moment! For reference, I live right behind a church with a big open field in between. One night I had seen a doe and her two fawn peacefully standing in that field. It made me happy to see them there since I love nature in all of its forms, and it made me think of family. Unfortunately they had disappeared for some time, but on the night I asked for the sign, there was the doe!! totally unexpected, yet linked directly to what I had asked for guidance on! So, my initial question is do you think that I correctly interpreted that sign? And my follow up question is, how do I obtain a consistent, reoccurring sign from the universe? As it seems, most people have specific signs, yet I feel that I do not. Any help and guidance on this would be appreciated the world over! If not, I still thank you from the depths of my soul, for being a powerful source of spiritual knowledge that I can lean on when I can’t seem to wrap my head around what I am experiencing in my relationship with the universe. A fellow believer that the Universe has our back! your immediate reaction to the sign is your intuition. that is the correct response. it’s when you start overthinking it that your ego gets in the way. and you can have more than one sign. O my gosh! Gabby! No no no! In such amazement! So I was telling my best friend on Sunday that my universal sign hasn’t showed up. I choose a sign after I intend goals and I literally get so specific with my sign that it’s not hard to miss and it creates this “ah-ha! There you are. I see you” moment. Last year I chose a car. Specific car. Model. Colour. This year I chose an animal. Well. Truth be TOLD I am so guided. After telling my best friend generally I see my sign EVERYWHERE and this year it’s maybe shown up twice… it kind of made me not excited. Maybe i should change my sign? I go into this emailer to see what on earth am I missing? Am I “looking to hard” not surrending… read the universe has your back 4 times. Obsessed. Anyway. And boom… as I scroll down. There it is. The Dragonfly how special! How universal! From the card deck! Literally I gasped “ah-ha!” I almost started crying I was so shocked! Amazing! This is a special symbol clearly. soooooo cool! you’re always being guided. I m just about to graduate and have passion in media. For me sometimes the sign of some specific cloud works. My dad is against getting me in media industry. But I had a gut feeling or believed in nature and saw that specific designed cloud up there.. And I gave media a shot and same day I visited a radio fm to allow me for internship. They did. Eventually my dad was less worried and he believed in me. As you said, we shall have faith and surrender to the universe. I hope I will get what I want. And another sign(maybe it is) I get to see a bharadwaj bird a breed in India. It have brownish red feathers. Whenever I see that bird, situation gets lucky..
And that view of bird calms my anxiety as well. I’m reading The Universe has your back, and I always felt connected to the universe when I didn’t over think it. And things would happen and I would notice oh ok wow!! In the past my sign was a song, now I feel like I can’t find my sign. What should I do? Can our signs change through time? Thank you so much for making me learn to believe. I need to continue to have faith and listen to my gut. I love that you always felt connected when you weren’t overthinking. It’s our overthinking that creates resistance from the flow of the universe. you can change signs over time. ask for your sign and then stop thinking about it. let the universe do her thing. I wanted to cheer you on as a modern day Guru that can lead people towards love & faith! We all need more of that in the world to make it a better place! My question is that I see repetitive numbers on the clock multiple times a day every day. My friends thought it was a coincidence when I wasn’t working a lot, but know I am beyond busy and I can just look up and smile. This started with 11:11, 12:12, 1:11, 2:22, 3:33, 4:44, & 5:55. I’m usually thinking of work which is a selfless position for helping others, but it tends to not leave much for personal time. I pray for strength and see 9:11 now too. I do feel like I’m being guided, but is it to continue in my current field of work??? Check this out: https://spiritlibrary.com/doreen-virtue/number-sequences-from-the-angels explains all about numbers in sequence! Hi Gabby! I asked for a sign and I received it – I wrote a book in 2014 The Wedding Insurance Handbook – I was the Founder of WedSafe Wedding Insurance in 2000 and sold it to AON in 2007. Hi Gabby, I read your book last week and I have to say its one of the best books Ive ever had the pleasure of reading. In fact Im re-reading it and Ive brought a couple more of yours . Ive been waiting for my sign but I dont appear to see anything – im trying really hard not to get impatient and to learn not how to pre-judge . In the back of my mind I’ve been wanting to be guided to know what I should be doing for a career/if I’m on the right track. However, I haven’t even made the time to sit down & ask for a sign. I’ve been pushing this off constantly. I don’t know why. I’m one of those people that always has to be busy, busy, busy & even when I’ve meditated in the morning I haven’t even slowed down enough to really focus on what I want. -I know. That sounds counter-productive. Anyway, two days ago I got a message in my inbox about an article, about a woman who does event design & travels some of the time while she is doing it! I was blown away. A definite sign from the Universe! Someone who has a job that incorporates two of my top 3 loves – design & travel. I didn’t even know this was really possible. I didn’t have anyone to look to in the world to emulate before. So I got a sign, I guess, by maybe letting go? Thanks so much for diving deeper into this, Gabby! I’ve been meditating and asking for signs, and then when I do receive them, I’m often unsure exactly what direction they’re pointing me in. I recently was on the receiving end of a breakup that still doesn’t feel cosmically “right.” I was debating reaching out, and after reading this blog, approached from more focused alignment and asked for a sign that I was on the right path by leaving the situation alone. The first thing my quiet mind heard was “Pretty Woman” – seemed pretty obscure, but I trusted that I’d heard my sign correctly. Later that day, while I was struggling to let go, I stopped myself and thought “I’m willing to see this situation differently, and I’m willing to release it.” Not 30 seconds later, I opened Instagram and the first caption was “Pretty Woman,” exactly how I’d pictured it in my mind. I was overwhelmed with comfort – even though the breakup still doesn’t feel “meant to be,” I trust that I’m being guided to the right path. And thank you for sharing the light! yessss! the universe is showing you that you’re being guided. even when things don’t work out the way we planned there is still great guidance behind it. trust. Hi Gabby! I recently was asking the universe for a sign to move. I’ve been struggling with seasonal depression up in Portland and have tried everything up here to stay it happy but I still feel unhappy even though I have so much good here. Recently I went on vacation to California and while I was on the beach I asked the universe for a sign on if I should stay. About an hour later driving in Los Angeles I got an overwheling feeling that I have been wasting my time up in Portland and I have been neglecting this want/desire or possibly need for too long. Unfortunatly, this would mean me starting over in school along with my parter who isn’t thrilled about the idea of ever leaving the PNW. What are your thoughts on this? follow what feels good. your good feeling emotions will tell you the truth about what you want. I have a podcast called The Thinkergirls Pod channel and was sharing your 5 Steps to Spiritual Surrender for our listeners. I was sharing with my co host how it works when we got to the sign part, I didn’t mention what mine was and went through a few examples where I had tried and tested it and it worked. I had a big question though in my mind that I hadn’t yet received a sign for… as we were finishing up the show (still recording) she mentions my PEACOCK sign. It was all recorded! And it was the most epic moment ever. You would loose your mine if you heard it! Thanks so much for this post… I have been dealing with some uncertainty in this area lately. Hello! I asked a question and I got a very clear answer which Iam over the moon excited about my question is since I was told yes. Do I continue to pray and meditate and manifest that witch I know is coming or do I literally nothing? I love your books your Amazing! do nothing and let the universe show you what to do. isn’t it amazing how the universe speaks to us… i’m always blown away! Hi can’t wait to read the book I am buying it This week. So here’s my question if I want my sign to be a cat is that too general first off because I have a cat and secondly because cats are popular, so would that be a fair assessment of a sign? Your sign isn’t necessarily an animal, object or anything else that you love or want it to be. Your sign will come to you when you are in a place of alignment. How do you get aligned? One way is to pray and then sit in meditation. I recommend that you say a prayer of surrender and allow yourself to truly surrender to Universal guidance. Pray for the highest good. Turn over your fears, expectations and desires to the care of the Universe (or God, your inner guide, etc. – whatever resonates with you). Sit in meditation and feel what this surrender feels like. What does it feel like to know you are supported at all times? When you have fully turned over all outcomes to the care of the Universe, you will be in a good position to ask for your sign and let it come into your mind spontaneously and naturally. Trust what comes up. I’m going through a seperation and it’s been very difficult. I have been worried that I won’t find love again. I really don’t want to be alone the rest of my life, I want to find my sole mate – someone who truly loves me just the way I am. I watched your video about asking for signs. I asked the universe/God for a sign that I will find love again and I asked that the sign be a yellow car. I drove to work that morning and as I closed my door and turned around to walk to work I saw the brightest yellow car staring right at me. I was in shock! I immediately felt a sense of relief and thanked God for this sign. This may be a strange question but when I’m feeling like love will never come it seems that at that time I see a yellow car. Is that a sign or does the sign only happen the one time. Thanks Gabby! Your book and videos have helped me through this very difficult time. God bless! I can’t begin to tell you how grateful I am to have found you and your amazing words. I just read the chapter of Universe Has your back about picking your sign just last week. So the timing of this post is great! The first thing that came to my mind was the color teal. The next day I was laughing to myself because it was everywhere. Teachers at my kids preschool wearing it, the receptionist at work, clients of mine. Having certainty of being guided is the most calming feeling I have ever felt. I have been a fan of Louise Hay for awhile and finding you has been one of the greatest gifts from the Universe. So thank you for your words and guidance. I keep seeing my sign. I had asked the universe if I should continue to keep a conversation going with a friend/potential love interest. When I feel like I should back off or start to feel insecure, I seem to get bombarded with the sign. This friend is crazy busy and usually only speaks when spoken to. So I keep wanting to let myself off the hook. But then the elephants (sign) are everywhere. Starting to feel like I’m just supposed to learn something I haven’t learned yet maybe. I’m so overwhelmed from the event that took place after reading your article, and implementing your guidance to ask for a sign. I just recently broke up from someone that I felt he is the one, I decdided to be brave and after 2 months of disconnection, I have texted him and suggested to meet. Before we met I’ve asked for a sign – for some reason I saw a wolf in my imagination. I was thinking to my self that it’s so weird as wolfs are loners and it’s not what “I’ve wanted to get as a sign” So after 2 Days we have met and while we were together he suddenly told me – I’m like a lonely wolf. A day after I have left him. I’m sad and devisteded, but also I forgot what I asked exactly that I’ve asked from the universe before asking for the sign, I only remember that I thought that i Wasn’t satisfied that I saw a wolf when I’ve asked for a sign and that my ex saison that he isn’t like a lonely wolf. I also have to say that it’s so unlikely him to use this wording as he always showed up as a family person. What wasn the sign purpose in my case? Think about this… wolves usually live in packs. A lone wolf is the exception. That may be the way your ex sees you, but that doesn’t at all mean it has to be YOUR story. Perhaps this sign surprised you because you don’t yet identify with the qualities within you that a wolf symbolizes. Wolves have strong instincts. They are independent and strong. They are incredibly intelligent. Here is some good guidance on wolves as signs. I’m into this spiritual journey for 3 years. I have been searching for my soul mate and I really want to have my own family. I have started with Louise Hay, Dr. wayne Dayer and recently more and more listening to you and I’m digging into my soul. And just yesterday ive bought your book. I’m having hard time to “let go”. Lots of miraculous things happened to me during this spiritual journey of mine (career, income, new and real friends ext) and the only thing that left is my love life. So when I’ve asked for a sign and got the wolf – I remember that I said to my self “a wolf is a sign for being a lone, and I don’t want it” ! But now that the relationship is over and after I’ve read the link that you’ve sent me, maybe it’s my strong instincts that I deny. And still it’s so hard to know when it’s my instincts talking, and when it’s my fearful thoughts. Thank you for replying back ! It is much appreciated. I feel so blessed that I have found you In this world during my spiritual growth, And also It’s the best timing I could ever ask. you are so accurate and clear that I can grasp your teachings easily and they resonate in me naturally. You are the perfect combination of Dr. Wayne Dyer & Louise Hay. It doesn’t matter what form the sign comes in. If it cannot be denied, it is your sign! I wanted to share an experience I had regarding this particular video on receiving and trusting signs from the Universe. Yesterday, April 9, 2018, your SuperSoul Session segment came up on my YouTube feed. Love all things SuperSoul and I have recently been introduced to your teachings. During your Session, you mentioned that while in your office one day, you saw wild turkeys in your yard and later discovered their Spiritual meaning. Hand to God, not 15 minutes after I finished watching your video, I had three wild turkeys enter my backyard. They are around my area, but have not made an appearance since last fall. So, I took that as a sign from the Universe since I do not believe in coincidences, but what do you think it meant as I am not able to have children? Thank you! Turkeys symbolize not just fertility but also abundance, generosity, satisfaction in life, community and connection to the natural world. If you want to have children and it is not biologically possible for you, the turkeys may have shown up as a reminder that there are other ways to build family and that reproductive fertility is not our only form of fertility. If this resonates with you, let it be the opening of a conversation with yourself. Perhaps you are ready to consider other options. If that doesn’t resonate with you, look at the other things turkeys symbolize. What is speaking to you? You may want to let this settle and meditate on it for the next few days or even the next 40 days. Trust the guidance that comes through and know you’re supported. Hi Gabby. I listened to your book The universe has you back on audio and I tried asking for a sign. I went for the 1st think I thought of and it was a red Ferrari. I have know idea why other than I really like red Ferrari’s but went with it without over analysing. I am working on something new in my life (property investment) and hoping this is what will give me the financial and time freedom I really desire and I put my attention on this and asked for a sign if I was on the right path with what I want in my life. It showed up on a tv programme several days later as a small toy car being sold for auction and I was buzzing. The thing is after that I wanted to reaffirm I was on the right path by asking to see this sign again and show up some more and since then it has not shown up. Now I am confused as to whether I am no longer on the right path after it showed up the first time. Any ideas why it showed up and then stopped after asking again? I have a question regarding the signs from the Universe. Whenever I put a deadline for receiving my sign, I usually don’t get it within the designated timeframe. But as soon as the deadline is passed, I receive the crystal clear sign right into my face that just leaves me in astonishment and wow !!!! Just wondering why is this happening? Is setting a timeframe to recieve a sign part of controlling the outcome? The Universe works on its own timeline. I smiled when I read this… your guides are being playful with you and encouraging you to relax and loosen the grip. You are guided. You are supported. Hi Gabby, I have only just discovered your work and this is very helpful as I have felt strongly guided to offer vision board workshops. I have been working as a healing facilitator for a long time but felt that providing a space to just be creative with others would be very empowering. I realised I might not have the tools necessary to do this and then allowed the thought to just lift from me, and continued doing other work. Not very long afterwards I started to get tips and random emails bobbing up, about running workshops, what materials I would need, etc etc, all very helpful…and so I started just gathering this together. I had tried to push through with a specific date, as I had been offered a venue not far from me, which is very luxurious and could host a large group. At this point, although I was excited at this prospect, I also had quite a lot of fears about it….. and needless to say I only had a few who booked on. I suddenly felt like my idea was no good 🙁 Later I had a real good think about what I was actually tapping into, and I realised my ego had taken over and wanted to create this impression, which is not who I am at all. I have a small studio on my property where I see clients and so then decided to run much smaller and more regular groups. This felt more in alignment with how I want to support others and open them up to their energetic potential. Thanks for this! I remember the owl story well. I needed this reminder to keep my ego and rational mind out of it. I often get muddy esponses. Sometimes I think too hard about what my sign should be and then I judge that decision and add caveats to it such as “A red Jeep! But not the red Jeep that’s always parked down the street, because that’s always there so it doesn’t count.” or “An elephant! But not a cartoon elephant.” It’s not a suggestion from my guides, but a decision. I need to chill out, get centred, tune in and let it come to me. No judgment. Gabby! I love your beautiful soul! I’m reading your book and loving it, you really speak to me. Last night I was at the part about signs from the Universe and i prayed for gerbera daisies and this morning I saw my first one on a blog I check daily! One single orange gerbera daisy in a vase on a desk and I was so excited! I’m still so excited and grateful that the Universe sent me that. It will never get old I am sure. Thank You so much for sharing with all of us. You are very extraordinary. I asked for a sign of an owl appearing three times in a specific day if my business project will work out the way I dream it. An owl appeared 4 times. However on a following day I saw 3 owls in a line in a library just when I was thinking about this project and was a bit scared if I will succeed. How should I understand both of these events? There’s no right or wrong way to tune into your guidance- just ask for what you need and miracles happen. I asked for my sign to be shown 3 times, but only saw it once. Does that still count as being a sign from the universe? Does it mean anything if it’s only shown once opposed to 3 as asked? Hey Gabby!! Thank you so much for everything you do! I recently practiced your advice of asking for a sign – except I assigned a specific sign to a specific question, for example: during meditation I asked a clear question (should I try to have another baby) cleared my mind and the sign I received was a very particular dog breed with specific coloring. I didn’t question it – I understood that if I saw this sign I should try to have another baby. 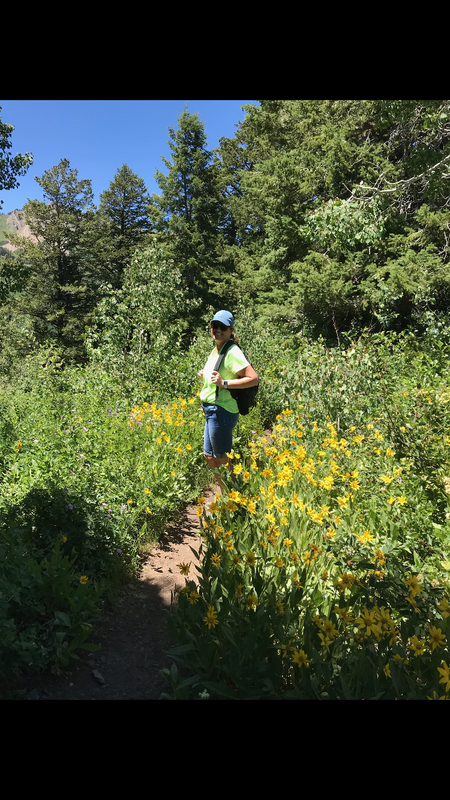 Then I asked a separate question and waited for a sign to pop into my mind, it did and it was a different sign – Daisy’s – white petals with yellow centers. In both instances I saw my sign popping up in the physical world within the next few days – in the most unexpected places. (I did ask for guidance via signs for other questions I had and each time a different “sign” popped in my head – some I haven’t seen and others, like the dog and Daisy’s I have) After reading this a second time it seems you only have one sign that tells you if you are in the right path.. am I doing it completely wrong – or can I ask for different signs to affirm different questions? Thanks! You can ask for different signs to affirm different questions… the key is to pay attention to how you FEEL, make sure you are clear on what you are asking for, and not to manipulate or play magic tricks with the Universe. After reading this blog at work, I tuned into the feeling of surrender and committed to letting go of control of my situation. I was thinking about what sign or my symbol could be when I had just gotten a patient (I am recovery room nurse). I got distracted with work, but then looked down to see his room number was 3-26, which I always notice (because it is my birthday) and it felt like something! But I don’t know if I notice these numbers because they are my birthday or because they are a sign for me. And….. what does it all mean?! After reading the section of the book where you ask us to choose a sign, you said to just choose the first thing that pops into your head, a frog was the first thing that I thought of so I picked this as my sign. But on my way home from work, as I was rounding the corner to my house, I saw a deer right out in the open. It didn’t move, I even slowed down and made eye contact with it. It never ran away. I had to make the first move in leaving the deer. AND then when I got home, while making dinner, there was a frog on my window!! Which do I go with? Is it possible to have both? The deer really spoke to me, but then the frog was there! I am torn on what I should do. I love your book! I was introduced to this book in a FB group where we are all supporting one another in being alcohol free. Thank you!! Awesome Sandy! You may absolutely have more than one sign! Very cool! I love your book and finding a sign really helped get me through my doctoral dissertation. I thanked the universe, chose my sign, I opened up, and waited. Then my sign was everywhere and right on target I finshed as my sign guided me. So thank you. My question is, do you change your sign for different thoughts? Am I considered greedy that I am wanting multiple signs? Thank you so much. Hi Gabby after reading this blog i was reminded of one my first signs i ever recieved! I was 16 years old and had recently been broken up with my boyfriend. I was laying on my bed with my eyes closed feeling sorry for myself and just resting. When all of a sudden i saw a picture of a blonde man with long curly hair. It came to me quick and was gone just as fast! However i never forgot it! So fast fwd a couple years later my then husband who i had met not to long after this vision had occurred was going through some things in a drawer and found his old first drivers license when he was 16. As he showed it to me i almost fell off my chair! It was him in my vision i had seen!I hadnt ever put it together before because in my vision he had long curly hair but the man i met and fell in love with looked very different! He was in the Air Force with very short hair!I also remembered that vision had him standing in a library which i remembered that day as well was i use to go to the library all the time to study and hed come to see me there at the library all the time! Also i had had another vision (sign) before meeting him before seeing a young boy about 4-5 years old sitting on a couch! I use to believe that could possibly be my son some day! But we had two daughters? So one day his mom sent him some old pictures she had found of him! Yep you guessed it! That sign back then was also him! My spirit guides were alive and well then telling me literally who i would marry! And that has been the love of my life for the last 38 years! So i just tell people trust in your instincts pay attention to your thoughts and have faith your spirit guides are with you sometimes loud and clear and others not so much! But when we are truly paylng attention they are communicating with us!!! Thank you for all yoiur great work your books your blogs and all you do! I learn so much from you! Absolutely beautiful. Thank you so much for sharing your story. It offers up powerful spiritual proof for you and a lesson to tune in, ask for guidance and pay attention. I asked the Universe to show me 3 lions in the next 3 days if the guy I’ve just met really is my twin flame. Later that night I was surfing on Instagram when someone commented on one of my photos, mentioning (3 times) he’s a Leo, as my bio says I’m an Aries. I didn’t think much of it, but then few minutes later I got a message from another user whose nickname was a very common synonym for a lion. That’s when I started to freak out a bit but still tried to stay cool as a cucumber. I wasn’t convinced enough so today, as I was walking home from work, I asked for one more lion. Literally 2 seconds after that some boy passed me with his bicycle and he was wearing a shirt that said “I am with you” with a photo of two hands holding each other. And as I kept on walking, the next car I saw was a Peugeot (the one with a lion logo). Take some deep, grounding breaths and ask yourself if your thoughts are coming from a place of fear or love. The universe will present us awesome signs when we connect from a place of love. You got this girl! I’ve been struggling tremendously for months with my job. Working in Fashion may seem so glamorous to many but it’s NOT, at least it’s not for me. I’ve past the point in my life where material things have held such high importance and realize that life is too beautiful to allow such materialistic things define me. Needless to say, working in a superficial environment with people who have constantly judged me and are filled with false promises has gotten the best of me. It’s always been a mindset of mine to never leave a job before finding a new one but I’m at the point where I just can’t take another day of this anymore. After reading The Universe has your Back, I sat in my Zen Garden where I go to meditate and put it all out there to the Universe. I asked for a sign —A red cardinal to come and make me feel like it’s ok to let go ( I live in Florida and Red Cardinals aren’t all that common so I was testing the Universe) ..leave this position that is so unfulfilling and break free from this culture that is so depressing. Let go-cause things will shift after you break free from this weight that is pulling you down. Two day later, I’m sitting in my yard and a red cardinal flies on to a tree and starts singing away. Of course, I’m in doubt that the universe sent a sign this quickly and I ignore it. As the next two weeks pass, several cardinals come to me at different times. Again, I ignore it. This weekend, I am visiting my in laws in S Dakota. I’m sleeping in the guest bedroom which is mostly glass overlooking the beautiful landscape -and at 6:30 am, I am awoken by a big thump. I open my eyes and to my disbelief a red cardinal is flying into the glass window …NOT once but 5 or 6 times. SHe WOuld get up ..fly Tom the branch of the two tree and make another’s attempt at the window. At that very moment, I sat up and said —I got it Universe -Loud and Clear!!!! Thank you Universe & Thank you Gabby!!! I need some help interpreting a sign. I didn’t ask for a sign but something just kept appearing in my life. I was travelling in Europe a couple of years ago and at 3 separate times, I stumbled into places where Saint Benedict had a huge influence. I am convinced this must be a sign. And when I thought about it all 3 schools I attended growing up were Saint Benedict schools. I cant see the message though. I even read the biography of St Benedict but I’m still uncertain what the message is. Yo Gabby (sorry if that sounds rude), I was thinking about this girl yesterday who left me like 4 years ago and idk I was feeling great while I thought about the things we used to talk about and all that, btw I still love her, she’s such an amazing person. Well anyway while I was thinking about her I just turned off my laptop and looked up and saw 11:11 pm on the microwave and the weird thing is that I didn’t even ask for a sign or anything. Soooo yeh what could this mean? I just thought I’d ask you because I tend to overthink so yeh lol (yeh I know I don’t talk professionally or whatever but I just find it more comfortable to talk like this you know hehe). Hey Gabby thanks for the reply. I was wondering, could it also mean that if I keep that up that we(her and I) might get back together again? Just curious. I recently asked for a sign when i was feeling frustrated and angry with my partner. I was on a subway and said if i see a rat that means i should leave relationship. Someone then pointed out a rat straightaway and scared myself. Does this sound like a sign from the universe? I’m not sure i was in alignment as i didn’t pray before hand and now I feel confused. I have received definite, amazingly orchestrated signs in response to my questions to the universe. My question is what do I do now? Do I just wait with patience to see these events unfold as per my questioning or should I be taking action to make it happen? My wife and I are looking for a house, much like you and your husband were before you found your mountain house. We asked for our sign (a bear) and yesterday we looked at a house and to my surprise there was a statue of two bears. I was surprised because I saw the sign but I honestly did not love the house or feel it was for us. My wife liked it more than me but it is overpriced and needs some work. If I did not see my sign I would have just kept moving but I keep going back to my sign being there. Could we be manifesting our sign with no real or deep connection to the Universe or what that sign means to us? Hi Ben! When seeing you signs, such as the bear, check in with your intuition. The gut always knows the answer. Ask yourself if the bear was a sign that this is the house or if the bear sign is letting you know you’re getting closer. See if your thoughts and feelings are coming from a place of fear or love. If it’s from a place of fear, it’s the ego talking and not your inner guidance and knowing. I had an intense brief relationship with a woman about two years ago. We stopped communicating but are still a part of the same organization, but different geographical areas. She and I were at the same conference recently and I unusually asked for a “sign”. I I wanted to keep my distance, but I was asked by her boss to help out the head table close to where the same woman was sitting. We were also asked to give a presentation together. Finally, it was decided that she be moved to the location where I am. Ultimately, those plans were changed. So were those signs I got, or just coincidence, or did the universe change course? I just want to begin by thanking you for The Universe Has Your Back. It has really helped me with my anxiety and way of thinking. Thank you so much. More than a month ago I started visualizing and manifesting my SP. I started seeing a lot of synchronicities almost immediately (2, 22, 222, 2222, 44) daily. I asked the Universe to show me a red spider if this person and I will be in a romantic relationship again. I saw a red spider within 30 minutes. I felt completely in alignment during that time. A few weeks later while feeling more desperate, I asked for another sign a blue balloon. Never got it. A few days ago (I felt in alignment) I asked to see a green bunny. I never got it. However, I continue to see synchronicities. My question is… if you’re out of alignment do you not see any signs at all? If you ask for too many different signs will you not see them? Why do I not see signs but see synchronicities daily? Ive been asking the universe for a clear sign in relation to a question i have which I want answered. I’m asking everyday,I get the requested sign, but next day i might not, day after I will get it and i.might ask again later on in day to no avail. So what’s the issue? I feel I’m getting mixed signals! Cheers Gabby 🙂 I think also because I give a deadline i get more anxious if it doesn’t show up and then I find myself actively looking for it! I suffer with chronic anxiety and have asked for two signs. Firstly am I ok to ask for two signs? I feel unhappy in my marriage and have had a massive crush on someone I work with for 8 years and my feelings for him mean I am struggling in my marriage. I nearly left my now husband 8 years ago but was scared of rejection and comforted by the familiar and security. It is so unbearable as we now have a toddler and a lot of debt so can’t just leave. I can’t stop thinking about the guy I fancy and dream about him all the time. I even moved offices for 3 years and didn’t see him but still thought about him all the time. The thought of him makes me feel so happy and I he gives me butterflies. I have asked for a black sheep 3 days ago to guide me whether to leave my marriage and saw one but didn’t feel connected, however I asked for a half moon this morning to show that my crush fancies me and will approach me and within an hour I was seeing half moon shapes everywhere which I felt deeply connected to and made me feel really happy and hopeful. I just don’t know what it means as I’m not getting the black sheep signs yet so as it stands I should stay in my marriage but something may happen with the guy I like? Or maybe I need to tune in to the black sheep more? Or maybe I’m fearful of seeing them and scared to leave my marriage for the unknown/know I can’t afford to leave. What does it all mean? Is it really as simple as it seems? I wondered whether to ask for another sign to say if I should talk to the guy about my feelings but is that overkill? I am so down and it’s now affective my mental health even more and really need answers. It is all I think about. Please help. Thank you so much, I can’t tell you how much hope these signs have given me. I need the guidance so much and don’t feel I can make the decisions on my own. Thank you Gabby I have been wondering whether to talk to someone. I have had the craziest day today though, I have been talking to my guides lots today and thanking their love and guidance. I choose love over fear. Whenever I feel fear I thank my guides and choose love. I instantly feel better. I have been helped by much of the work you do but I am struggling with this aspect. Namely, I don’t fully understand how one can know the difference between a universal sign and wishful or magical thinking – especially when it comes to decisions that can have serious consequences (eg someone with cancer deciding whether or not to have chemo). It seems dangerous to me to put faith in a sign when dealing with a decision that could literally mean life or death. Is there something I am misinterpreting about this process? Please know this question is not meant to be at all disrespectful – I very much want to understand. Many thanks in advance. I am really confused about asking for and getting signs. I have several vibe-stories that I have written but I don’t know if I am supposed to ask for different signs for each story or if I am always using the same sign every time I write a story or ask the universe to show me my sign. I have always been a complicated person and I’m thinking I’m making things way to complicated. Thank you. Hi Gabby and everyone reading! I read this post after a night feeling that I strongly needed to walk a more spiritual path, since I’ve been off track for a while. I read this and decided that my sign is going to be a lion. I then let it go, and forgot about it. Two days later my 2 year old daughter looked at me intensly and told me “Mom, I’m a lion, grrrrrr!”. She just began speaking, and never told me such a sentence before. I thought it was the cutest way possible to receive my sign from the universe and just wanted to share it with everyone here. I love this!!! The Universe loves to give us winks and smiles, and deliver signs and guidance in ways that will really resonate with us. Is this is a good sign? I have been trying to manifest something lately and for awhile. I asked the universe 2 days ago to give me a sign. I asked the universe give me a number 119 as a sign. 3 days later i buy a random lotto ticket and the date said “11 september 2018”. Something clicked in my head and i remembered asking the universe for a sign of a number 119. I looked at the date on the ticket and converted 11 september 2018 to 11-9-2018, so it was 11-9 (119). Without realising the date when purchasing the ticket. Is this a universe sign? If it feels unmistakably clear to you, then it is the sign you asked for. The Universe does not try to play tricks with you or ask you to do mental gymnastics to understand the signs you have asked for, so if you feel like you’re forcing it or like you are unsure, then it’s not a clear sign. That being said, noticing guidance does require us to pay attention even to small details. The more you stay in communication with the Universe and stick to your spiritual practices, the easier it will be to discern when you are receiving spiritual guidance. Hi gabby..thank you for such an amazing article..i have a question though ! So i asked the universe to give me a sign for a question i asked.. i asked the universe to show me pennies..so I cleaned my purse one day and i found a currency note..i was impatient and i was clearing out my purse hoping to find the sign..but then i gave up..and I immediately found a note in the middle of some trash papers in my purse..that note was unexpected though ! I didn’t know it was there but I found it unexpectedly..can i take this as a sign from the universe or no ? Please help ! But instead i saw grey feathers with a black spot on them..what is the meaning of this ? Please guide me ! Hello gabby..so i asked universe to show me coins as signs..pennies or dimes or any cash..and i found a man wearing the saint christopher pendant..is that a sign ? Hello gabby..i asked universe to give me coins like pennies, dimes or any other currency..and i found a man wearing a saint christopher pendant..is this a sign ? Hi AJ! Your inner guidance always has the answers. If you’re feeling unclear about your signs, try sitting in a moment of silence or meditation to get clarity. Be open to all the ways in which your sign/s can show up! Hey Gabby, appreciate your knowledge and experience around receiving guided messages..
I’ve become almost a master at asking and receiving messages from the universe/guides but I’m embarrased to admit that at times I’ve become a master at not always listening, mainly around love relationships. I’ve been dating a girl for the last few months, some red flags, I guess enough to question if this is for me and was pretty much out the door after several attempts of hanging in to let the experience show me. My body spoke to me at times, that GPS inner feeling, think u get me here, feeling very off but wanting this to work !!!!! On my run the other day, I stated my usual mantra to the universe, asking if I’ve made the right choice in leaving this relationship, I clearly asked for a feather as a sign and to show it to me before I walked back into my house. I had a message on my cell from my girl that she had just finished work and found a feather. Literally, 30 seconds before entering my home a feather blew in my path, no lie.. That’s 2 ….. I was in amazement , but the next day I started questioning, I guess it’s when I see her again, I see her greatness and not all the red flag stuff, maybe my fair tail block …….. I know this is my calling, to master this voice within, Why am I questioning such a powerful experience, and it’s not the first one. “Not getting a sign is also a sign” can you elaborate on that. I often ask the universe and my higher self to give me signs but I never get them. I pay all the attention, its not like I might have missed them if they appeared. Dear Gabby – I am so appreciative of your work, it has helped me through my painful divorce (i was devastated in a way I’d never knew existed) and subsequent dating adventures. I manifested my “ideal” man and began dating a man i adored. I asked for signs and very clearly received them, even during challenging times in our communication i seemed to continue to receive real signs that he was my future. I had asked for a specific number sequence to show up telling me he’s my future and ultimately where I am meant to be. I couldn’t believe how many times the sign appeared – completely without manipulation. Sadly he recently broke it off with me. I have been rereading your books, doing the exercises and I am feeling some relief. I have chosen to see it differently, I now see we weren’t as deeply connected as I hoped and want for my partner and ultimately this split must be a blessing. I am still very sad but believe my sadness is that it didn’t work out, not so much because of him, and am working on surrendering my future to the universe. I am confused why I saw the signs…many times. I am releasing him, I am doing my best to surrender but this has got me tripped up and to be perfectly honest is giving me doubt about signs. Much love to you and I am deeply grateful for your work. It sounds like you trusted in your inner guidance and your signs followed! Fabulous! I asked the Universe to show me two red balloons as confirmation of a reunion with a certain person and yesterday around 2 AM, I woke up to a commercial that had hundreds of red balloons in it. I choose to think that this was NOT a coincidence but the Universe confirming/affirming me. And I am thankful for that. Gorgeous! Continue to be open to all the ways that your sign will show up! Hi Yin. If you are feeling confused, return to meditation. As you sit in stillness, ask for a sign and then trust that inner guidance. It may be a sign that you’ve seen before or it may show up as something entirely new. Hi Gabby, I just stumbled here. If the universe can give us everything we want and you say surrender and not be fixated by the outcome, doesn’t that mean we are not manifesting what we want? Doesn’t that mean we can’t have what we set our minds to have and we can only have what the universe wants us to have? Hi Jane! It’s good to get clear on what it is you want but then surrender those desires to the universe. By setting an intention for the highest good for all and letting go of the outcome, you open yourself to beautiful outcomes. Trying to control or fixate on only one specific outcome holds us back from receiving. Hi Gabby, if we surrender the outcome to the universe, how are we able to get what we want? Isn’t the law of attraction about being able to get whatever our heart desires? Then if that’s the case, we should be able to get the outcome we want even if the process of reaching the outcome isn’t how we imagine but the outcome should be what we want is it not? Hi Disha. If you are feeling suicidal, please call this number right away to get support: 1-800-273-8255 (in the US). This is a suicide hotline, with trained, wonderful people to support you. They will be able to provide you with a nonjudgmental, safe, and supportive plan of action. You can also chat online with them here if you do not feel like calling or if you are not located in the US: http://chat.suicidepreventionlifeline.org/GetHelp/LifelineChat.aspx I am holding you in my prayers and sending lots of love and healing your way. My sign is a bellbird singing. They are not common where I live. When I hear one I know I’m on the right path. I’m also seeing a lot of 4’s. This am I woke up and saw it was 2:44 am, then this afternoon I saw 3:44 and then 4:04 and then 4:44. Also I just signed up for your workshop at Kripalu in May. I’m so excited to see you live. today i ask the universe to show me three stars as a sign . But i saw more than three stars. What does it mean?? I have honestly been asking the universe for a sign , a certain band for guidance for over a year, I get my sign every time I ask with out fail. ., My frustration is that nothing is happening with what I am asking the sign for , I feel that I am blocking the universe from delivering. I know the universe would not deliver my sign if this was not meant for me. I recently asked to see signs about 2 choices I had. I asked to see 2 different animals – a sloth for choice 1 and a llama for choice 2. I saw a sloth firstand then repeatedly after that. Then, I saw a llama a few moments later. Ive continued to see both, so I’m not sure what choice I’m being guided to. Thanks so much! Gabby. While I was travelling I asked the Universe to give me a sign if a man, who I am not together with yet, is the right guy for me. I asked the sign to be a Dolphin. The reason I asked for a Dolphin that morning was bc I went on a boat tour that day and I knew it was unlikely to see Dolphins at this time of the year. I was hoping that by seeing one I would have the answer to my question. When I came by a street stand I went closer to see if I could discover a Dolphin in the jewelry collection. It was three tables full of vacation jewelry and only ONE, a picture frame, had a dolphin on it. It gave me some peace, but I knew I tried to trick. Two days went by and I was looking for another evidence everywhere I could. On the third day I arrived at a new destination of my travels and I finally haven’t been thinking about the dolphin anymore. The next morning I sat nearby the hotel pool and I decided to meditate while waiting for for a tour to start. I had let go of thoughts for a little while and felt in peace when this thought came to me: did you see the dolphin painting by the pool area? I jumped out of my chair and walked over to the pool and indeed there were dolphins painted to the floor all around the pool!! I had not noticed them the previous day!!! Gaby, is this the true sign I had been looking for? Thank you for this! I recently had a very tough breakup. He cheated on me and I ended it. I felt like my world ended. But, two months to the day after the breakup, I came across your 5 steps for spiritual surrender. I was ready to move on and put them into practice. So..I asked for a very clear sign that this relationship was behind me and I was going to be ok! Not even 5 minutes later I saw my ex couldn’t miss him. A week later I gave it another try. Got in my car, getting on the freeway there are 5000000 cars everywhere…. same thing. I ask for a sign, pulling onto the freeway ramp, there he is. And then the same thing happened the next morning. I miss him everyday, but the relationship is over. I felt like from the beginning I was being told this is about him and not me. I don’t know what the Universe is trying to tell me, but I’m kinda afraid to go outside now! Lol. Me and my Gf of 5 months broke up with me becasue of my ocd issues and her feelings changed towards me. Her parents and friends told her to leave the relationship and she left me when this problem repeated over and over again. She was really good person and i was always honest with her with what i was going through. I loved her deeply but she was in that state of confusion and she pushed me away and strictly told me to move on. It’s been 2 months no contact. I even blocked her on instagram yesterday so that i can move on. But previously i asked God for a sign that was a red button as a symbol of reconciliation. And today morning i saw the sign and the time was 11.11am. I always see 11.11 and i confused whether to move on or keep hopes. My ex told there is no chance of getting back and don’t keep any hopes. She also told we can be friends once i move on. The only means of communication is WhatsApp now. I have blocked her on instagram. Please help. Thank you for this article. As I was reading, I chose ‘dragonfly’ for my sign as it automatically popped into my head. I wondered when I would first notice this sign and, wow, I didn’t have to wait long! As I scrolled down in your post, there it was! Amazing. Hi I am Jimmy, I have been a practitioner of the law of Attraction for a while now, so I know its power and that it works. I have a very long lengthy message that I need help with answering, just because I am hesitant or unsure of this sign I asked for and received. So I really like this woman, and I know she really likes me because we had two amazing dates; but now it feels like she is hesitant when it comes to asking for the third date. I believe I manifested her to come into my life because she has all the qualities of the woman I listed down that I would want. However, I am unclear if she has one of them which is “Emotionally available.” So In my attachment is a picture of asking God and the Universe for a sign, with each question of what I should do listed, and with a number underneath the sign associated with them. Sorry for the terrible handwriting. However the time frame for asking for that sign was probably an hour or so. I first was trying to look for the sign anxiously, but then during the time frame of not looking for it and writing stuff down on paper; I went to a youtube video I watched, and I liked a while back; plus the video really reminds me of her. However getting to the point, the number and sign I chose to signify for what I should do “333,” just popped out at me, and caused my heart to sank right away. The associated sign was “Should I give (name) some space and let her come to me? I really don’t know how to feel about this is all because It is one of the questions I asked, but did not anticipate receiving a signal for, and am just worried is all. If you have any wisdom or comforting suggestions, at this point I still have faith in God and the Universe, but I just want to know if the sinking feeling in my chest, and the feeling of uneasy was normal, or was this just coincidence? Then also just, as I finished typing all of this and rereading to edit, I heard the “Hoo hoo,” of an owl this morning, and still can hear it as aI type, and when I looked to my right I saw a dove out the window on my roof. What does all of this mean? Hi Jimmy! When asking for and receiving signs starts to feel confusing and abstract, Gabby always recommends checking in with your inner guidance. One of the best ways to do that is through a meditation practice. Creating a daily practice, even for 5 minutes, will help you really tap into your intuition, so you can trust your process and the signs that you’re receiving. could you give a sign for me I can’t seem to decide … Maybe I can tell you about myself and issues faced or I should just let u give me one because I seem to control / change everything. So could you give me one. Hi Gabby, I have intended to manifest someone and few days back some just said their name and my name. It was unusual as there was no corelation, it was just a discussion of some random movie characters. Do you think this might be a sign from the universe that my desire has been noted or something similar? If you’re feeling unclear about receiving signs, Gabby always recommends taking a quiet moment in meditation. Creating a daily meditation practice will help you connect with your inner guidance, so you can recognize your signs and get clear and grounded. 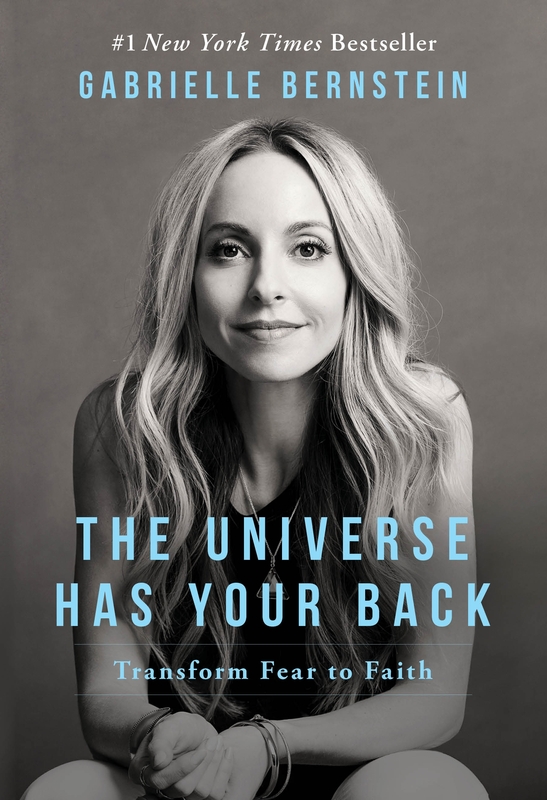 You’ve just inspired me to re-read the Universe Has Your Back again – especially during this transition phase into 2019! Thanks Gabby! I also asked for a sign whether something with my soulmate was happening within the next 3 – 6 months and whether that was the right direction, choosing a blue butterfly as a sign. Thinking IF it came up, it would probably be in the form of an emoji (Although who even uses that emoji?). I follow this healer on Twitter and like to catch up on her energy tweets every few days, something in my head kept reminding me to do it as I hadn’t checked for the week, but I’d get distracted and not check it. Maybe an hour after I asked for a sign, I finally popped onto her twitter and came across a photo with a crystal bowl holding what looked like shells. I took a closer look and it was butterflies. I thought nothing of it and went to scroll past until remembered butterflies were my sign, then looked back to see if there was a blue one but there wasn’t only an ambiguous light blue-green that I couldn’t figure out and I thought it was just funny that it was almost my sign but not really. I thought maybe she posted another closer photo of that butterfly so I could determine the colour and low and behold directly below the post there was a completely different photo, this time of her gallery wall (that I had just skimmed over a second ago while reading and before coming to the other one), of a completely different butterfly, but bright blue, the same as the emoji but a real version. I thanked the Universe for the guidance and felt thankful and excited. A little while later, as always, my doubt creeped in and I convinced myself that by scrolling down to determine the colour, I had manipulated the sign. What do you make of this Gabby? Was it still a clear sign? Why am I thinking it’s too good to be true? So I would pick animals or insects. But I’d pick one for yes and another one for no. For example I would pick owl for yes and hawk for no. But I started thinking maybe I pick two that are equally likely to be seen. Because I see hawks more then owls. Or I would avoid picking mongooses if I knew I’d be driving in areas where you’re more likely to see them. Then I thought of something. If the universe is helping with this, it shouldn’t matter if your yes sign is less likely to be seen then the no sign, because spirit is in charge . Yes or no. And I did wonder if seeing your sign not as a live animal but in a drawing or photo count. I did read it does. Hi Jennifer! Gabby recommends having a quiet moment in meditation and asking for your sign, picking the first thing that pops up. Meditating will help your ego get out of the way and allow you to tap into your own inner guidance. Hi Lola! When asking the universe for a sign, be open to all the ways in which it can show up, such as seeing it, hearing it, and feeling it in ways that you may have not previously imagined. I typed in goggle, god of the universe that which i do not understand please guide me in the direction you want me to go,,, my prayer, and you came in first. good going I am sure you are helping lots of people,, some of us just need to share and talk. at 69 i am applying for a prospectors licence, lol,, only limited by our minds! Take care and thanks, glad you are here! I am soooooo excited!!! I can’t believe it. I fell on your video a few weeks ago and it couldn’t have been at a better time. I then ordered your book and started reading and asked for a sign. I asked the universe for a sign to guide me in the right direction. .. The next day I saw a fox sitting by the exit of the highway just outside of my neighbourhood. I google the meaning of the fox and it says spiritual guide!! I was floored by the coincidence and thought it could be a sign. Kept reading on… and got to the part where you asked to see an Owl… the first thing that came to my mind was a FOX. I actually thought to myself… why did I choose a fox…it’s not very popular when am I ever going to see that. I was decluttering the very next day my office space and found a baby card I bought 2 years ago with a fox on it!! I open the card and it says welcome baby with love and joy. I right away turn to my husband and asked, am i crazy is this not a fox?! He didn’t understand what i was referring to then but did indeed say it was a fox. I was in tears. Life is so so so amazing. I KNOW the universe has my back. THANK YOU SO MUCH GABBY FOR GUIDING ME IN MY JOURNEY! does it mean that we need to keep our vibrations at a high frequency and keep affirming as to what we ACTUALLY WANT OUR LIVES TO BE and then trust that universe will manifest it if we are on the right path? You got it! This is a beautiful way to collaborate with the Universe! I’ve been looking for this information for a while now! Finally found it! Thank you! I asked for three signs to appear if a guy I like is the one for me and all three appeared. However I fear that I manifested those signs. Did I manifest the three items or were they actually signs? Hi Ana! If you’re feeling unsure about your signs and messages from the Universe, try creating a regular meditation practice. This will help you to feel grounded, strongly connect with your inner wisdom, and get beautiful clarity. Hi Gabby, thank you for all that you share! What does it mean when you ask for a signs (for say, 2 different requests for clarity using 2 different signs that are obscure-ish animals essentially), see them and it shakes you because it’s unexpected, but the things you asked about don’t actually happen? For context, I asked if I would hear back about something within a specific timeframe and a ‘meant to be’ type of question using what you said in a video I watched. I saw my signs unexpectedly within 24 hours (one came up really quickly for the timeframe and the other was closer to, but before the 24 hour period, about 23 hours). The timeframe question response didn’t happen. I have no clue about the ‘meant to be’ question as of yet. I asked from a heart centered space. It all leaves me confused. Thank you for your guidance! When asking for a sign, be open to all the ways in which it can present itself. The Universe collaborates with us in amazing ways when we don’t have strict timelines. Help gabby. Im always seen 1010 or 1212 or 1111. Or 88. The universe is always giving me this signs. What is that mean? Awesome! Seeing the same sign can let you know that you’re on the right path.